The route from Nepal to Tibet is one of the most spectacular routes in the world, traveling from the stunning Kathmandu Valley in Nepal over the mighty Himalayas. 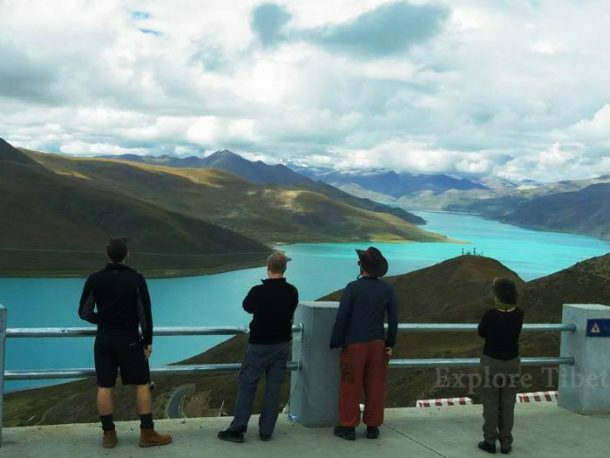 By crossing the vast Tibetan plateau through Lhasa along the renowned Friendship Highway, and continuing along the famous Sichuan Tibet Highway. Finally can enter into the Mainland China and its cities like Chengdu, Sichuan Province. The Sino- Nepal Friendship Highway is one of the most famous and commonly route used by international travelers when traveling from Nepal to Tibet. Once you have crossed the border to Gyirong Port in Tibet, you will normally head straight to Gyirong Town, around 24 kilometers from the border. From the border itself to Lhasa, the Tibetan capital, it is a drive that covers around 836 kilometers, or around 520 miles. The route from Gyirong to Lhasa partially follows the Sino-Nepal Friendship Highway, along the G318 National Highway, which is part of the vast highway that stretches from Shanghai in Eastern China to the Nepali Border at Zhangmu. From Gyirong Port, you will travel to Gyirong Town, around 24 kilometers to the north, where you will head east to meet up with the Friendship Highway at Nyalam, to the west of Old Tingri. From there, it is a long journey through Shigatse to Lhasa, although it is a straight and fast road. The road from Gyirong Port to Lhasa is now one of the best roads in the region, in terms of condition. Since it has become a major route for tourists from Lhasa to get to Shigatse, Mount Everest, and on into Nepal, following the opening of the border crossing at Gyirong Port, the road has been upgraded with major renovation work, and is now an asphalt highway for its entire length. The world’s highest mountain, Mount Everest lies on the border with Nepal and China, in the Tibet Autonomous Region. This stunning region of Tibet, known as the Qomolangma National Park, is one of the most stunningly beautiful parts of the plateau. 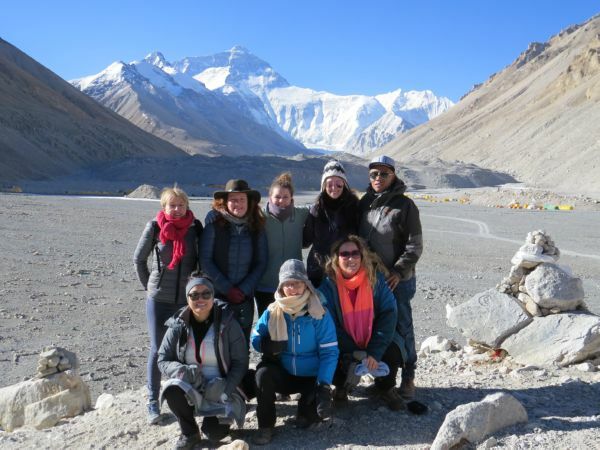 There is an option on most tours across the plateau to take a slight detour from the Friendship Highway to visit the Everest Base Camp, the most popular destination in Tibet. 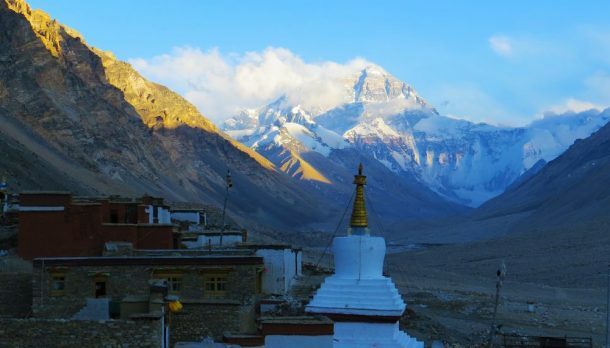 The route from the main highway is around 100 kilometers long, and takes you to the base cap and the stunning Rongbuk Monastery, the highest Tibetan Buddhist monastery in the world. Shigatse is the second city of Tibet, and the home of the famous Tashilhunpo Monastery, the seat of the Panchen Lama, who is Tibet’s second highest incarnations after the Dalai Lama. Built in the 15th century by the 1st Dalai Lama, the monastery is one of the most important monasteries in Tibet, and was the center of local government in the Shigatse area for centuries. A prefecture-level city, Shigatse lies within the historical Tsang region of ancient Tibet, and is the current terminus of the Lhasa-Shigatse Railway, which will eventually extend all the way to Kathmandu in Nepal. One of the Great Three Holy Lakes of Tibet, Lake Yamdrok lies nestled among the beautiful slopes of the southern Nyenchen Tanglha Mountains, to the southwest of Lhasa, around 115 kilometers by road. Believed to have been created by the Tibetan protector goddess, who threw nine talons of gold into the air to join the dozens of lakes that originally lay in the area, legend says that, if the lake should ever dry up, Tibet will no longer be habitable for the Tibetan people. The capital of the Tibet Autonomous Region and one of the world’s most beautiful cities, Lhasa is the center of local governance in the region. Originally little more than a village, which was then known as “Rasa”, the city was built as the center of the Tibetan Empire under the reign of the 33rd Tibetan King, Songtsen Gampo. The cultural and spiritual center of Tibet, the city’s main landmarks include the stunning Potala Palace and the sacred Jokhang Temple. The first, and most popular, is the Qinghai Tibet Highway, which runs from Lhasa to Xining, in the Chinese province of Qinghai, in northwest China. 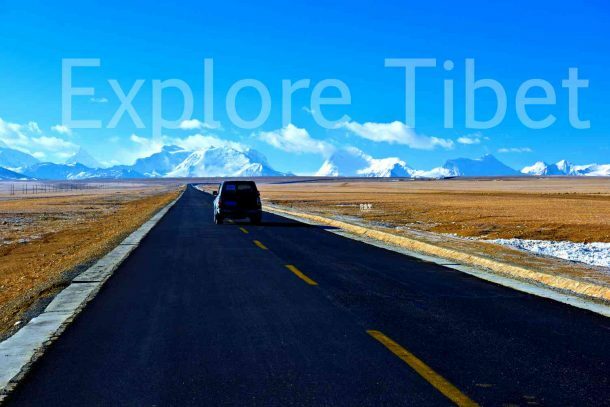 The second most popular is the Sichuan Tibet Highway, a long extension of the G318 National Highway, which runs east from Lhasa, and down to Chengdu, the capital of Sichuan Province. This is also part of what is known as the Yunnan Tibet Highway, the third route to China, which turns off from the Sichuan Tibet Highway at Markam, in the Chamdo Prefecture of Tibet. The road turns south into Yunnan from Markam, and runs to Kunming, the provincial capital. The fourth and final road from Tibet to China, the Xinjiang Tibet Highway, starts in Lhasa, and follows the Friendship Highway for part of its route, eventually heading north from Lhatse, into the Xinjiang Uyghur Autonomous Prefecture, ending at Kashgar. One of the most popular ways to get from Lhasa to mainland China is by train. The stunning Qinghai Tibet Railway runs from Lhasa, the capital of Tibet, all the way across the plateau to Qinghai Province to Xining, the provincial capital. Crossing the vast Tibetan plateau, and the immense Changtang Grasslands, the train leaves Tibet across the Tanggula Mountains, crossing the Tanggula Pass, the highest railway pass in the world, and then crosses Kekexili to the Kunlun Mountains to drop down to Xining. This stunning journey is one of the most spectacular trips in the world, and offers travelers the chance to see parts of the plateau that they would otherwise not get to visit in the northeastern prefecture of Nagqu, Tibet. It is also possible to get the train from Lhasa to one of six other gateway cities in China, including Guangzhou in southern China, Beijing and Shanghai in eastern China, Lanzhou in central China, and Chongqing and Chengdu in southwest China. With trips ranging from 22 hours to 55 hours, this is the ultimate in train travel in Asia. If you are traveling to Tibet from Nepal, then you will not need to make the application for the Chinese Entry Visa with the Chinese Embassy before you travel. For visitors coming from Nepal, a Chinese Group Visa is issued by the Chinese Embassy in Kathmandu as a requirement for those crossing the border from Rasuwa Gadhi to Gyirong Port or flying from Kathmandu to Lhasa. 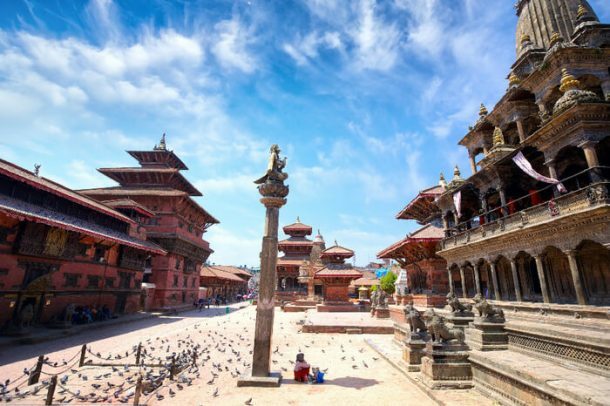 The visa is applied for once you arrive in Kathmandu, ready for your tour to Tibet, and takes around 3 working days to process, so you need to be in Nepal at least five working days before your expected date of travel. The visa will be processed by our agent in Nepal, as personal applications are not permitted at the Chinese Embassy. The agent will collect your passport, and use that, and the Tibet Travel Permit, to make the application. Applications submitted on a Monday morning before 11:00 am will be available for collection by the agent on Wednesday afternoon. 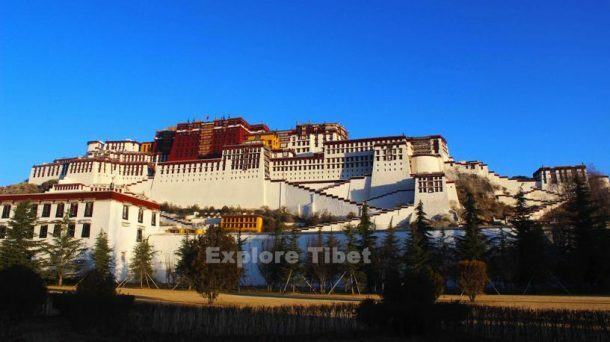 The most important permit you will need for traveling to Tibet, the Tibet Travel Permit is required for all international tourists to the region, and is needed to get into Tibet and travel around the area of Lhasa. The permit can take around 20 days to process, so it is important to book your tour in advance to allow for the processing period. The processing requires a scanned copy of your passport photo and information page, and will be applied for by us once you have booked your tour. 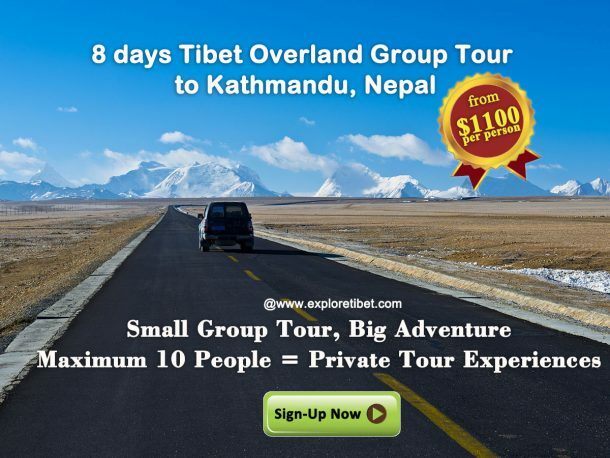 The Tibet Travel Permit cannot be applied for personally, and cannot be provided without a pre-booked tour. It is also needed to board the plane to Lhasa. If you are traveling outside Lhasa, then you will need to have an Alien’s Travel Permit, which allows you to travel to the unopened areas of Tibet outside the capital, such as Shigatse Prefecture and Mount Everest. This is applied for by us once you have booked your tour and is required for you to cross the border into Gyirong County of Shigatse Prefecture. You will also need the Frontier Pass, which we will also apply for on your behalf, for all travelers entering Tibet from Nepal or traveling in the area of the Chinese borders with Nepal, India, and Bhutan.